The thriving industry of fashion has been gaining ground in the Maltese context and is slowly but surely being taken more seriously by investors and other involved parties alike. Parallel to this and probably because of such a positive climate, we have been noting the burgeoning talent and growth of Malta-based designers. 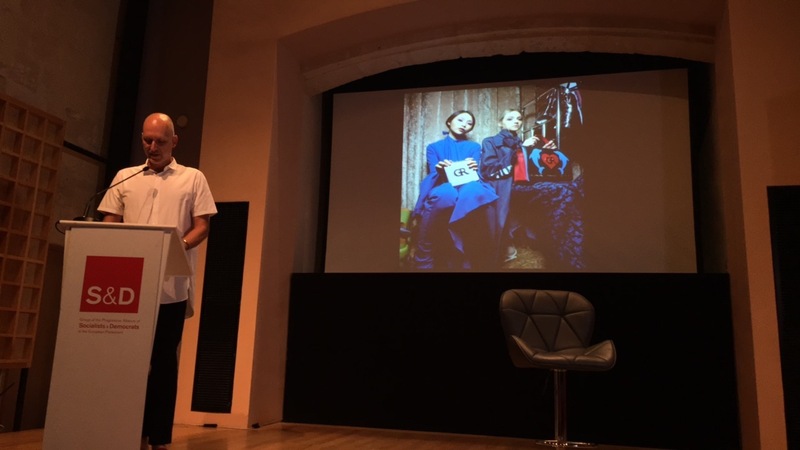 As I made my way to St James Centre for Creativity in Valletta during one of this summer’s heatwaves, I reflected and wondered what was in store for the first fashion conference that was being organised. A very different type of conference from the ones I usually attend, given that this centred on fashion and the creative industries in the EU. 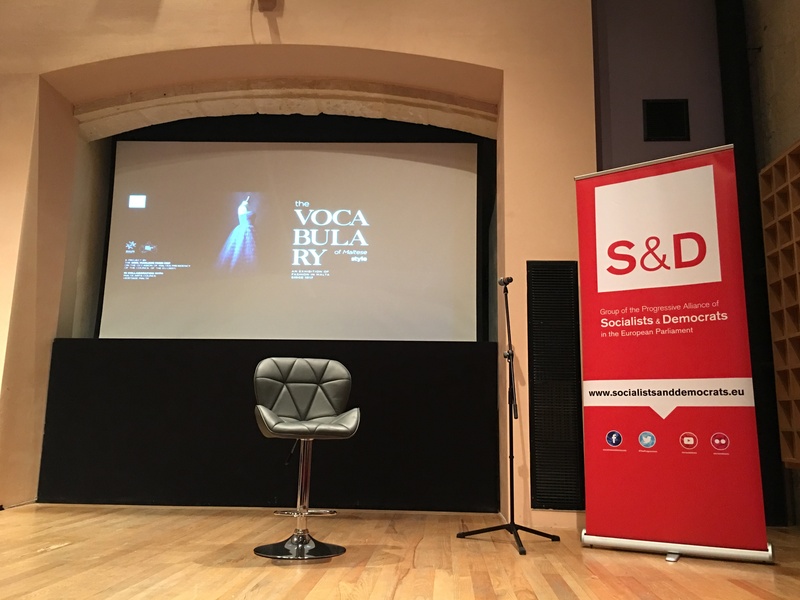 Organised under the auspices of S&D (which stands for Group of the Progressive Alliance of Socialists and Democrats in the European Parliament), this was one of the culture-boosting projects that formed part of Malta’s Presidency of the EU. The Hon. Marlene Mizzi explained in her speech that, as one of the MEPs, she had to choose a project that promoted Maltese culture. Her choice to represent Malta was via a subject that she is fond of: fashion. 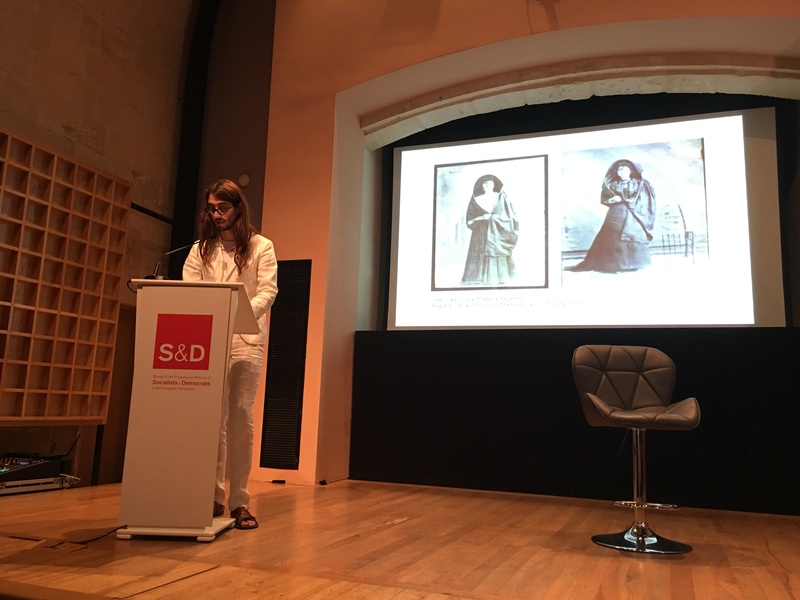 What better way than organising a historical perspective of Maltese fashion through the ages, in the aptly titled conference and exhibition ‘The Vocabulary of the Maltese Style’? And what better person to entrust the curation of both events if not couture Gozitan designer, Luke Azzopardi? I must say that, for the third summer in a row, Luke’s repertoire and contribution to Maltese fashion has grown, from two amazing fashion collections I was witness to, to this enriching and stimulating event. This time, his role is of curator and main player in the conference and the exhibition, which will be officially launched on Friday 30th June at the House of Representatives. Before the conference started, Anna Marie Galea gave a very inspired and incisive introduction. Her main tenet focused on the perception of fashion in Malta which is not only changing thanks to developments in home-grown fashion but also becoming more viable and sought-after, particularly among younger and environmentally-conscious generations. Buying and supporting local designs is an attempt to fight against the often inevitable wave of globalised and fast fashion, but a promising amount of buyers are now investing in both budding and established fashion designers and their fashion houses, choosing quality over quantity, home-grown over mass-produced clothing. For this reason and more, the exhibition that launches of Friday celebrates not just fashion but also visions of creativity in this industry. Galea’s introductory remarks were followed by Hon. Mizzi’s keynote speech. This allowed further reflection on how this conference juxtaposed fashion with a more academic re-evaluation of Maltese style. Even though the former is often considered as whimsical, events like these promote a different view of it, for instance by showing how history is woven into garments. As this conference and exhibition show, the collection of couture spans a hundred years, from 1917-2017, and both events are definitely fine vehicles through which Maltese culture is disseminated through fashion. Moreover, these events are important because they demonstrate that EU measures are being taken to support designers and their work. It is essential that awareness of this sort is raised, so that this industry is embraced and appreciated for what it has to offer. The first talk was conducted was Luke Azzopardi who spoke in a calm but resolute manner on ‘Cultural Aesthetic Biases: the Faldetta’. In an eloquent and illuminating paper, he presented how the Faldetta (also know as Ghonella) was perceived in opposing ways: on the one hand, it was a garment suffused with symbolism, meant to preserve women’s modesty albeit in an elegant way, whilst on the other hand it created an allure towards the woman on behalf of the beholder, suggesting that it not only made any woman attractive, but it accentuated the beauty of certain women, hence bias. With origins in Sicily and Spain, and North African influences, the Faldetta took on a certain role in Maltese style, worn by all women over their garments which they only revealed when indoors. 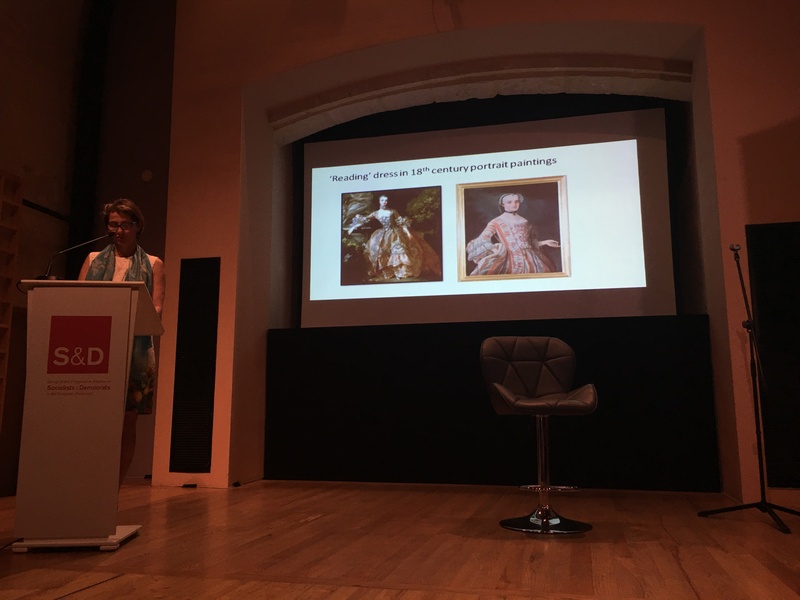 Caroline Tonna (curator of Case Rocca Piccola), who followed Luke’s talk and delivered hers on ‘Extravagant dress of the Maltese gentry and nobility in private collections’, also alluded to the Faldetta. 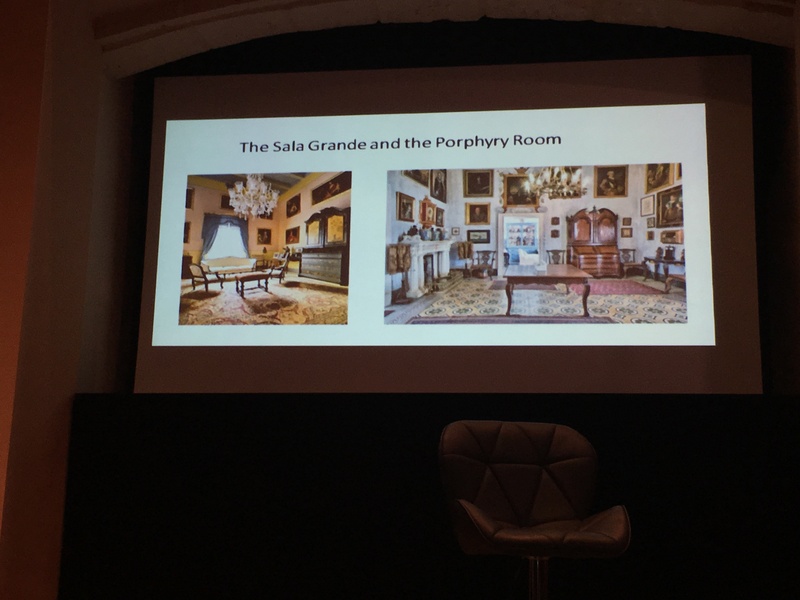 Her talk, however, mentioned Casa Rocca Piccola, the only lived-in palazzo that is open to the public. Named after the original owner Don Pietro la Rocca, it houses some artefacts such as the wimple, a Maltese popular headdress made of linen, lace or cotton. Whilst it shared similarities with other headdress worn at the time in other countries, such as England, what distinguished the Maltese one as the predominant use of lace. She also mentioned Bizzilla (Maltese lace) and Filigree jewellery, two distinct characteristics of Maltese style. 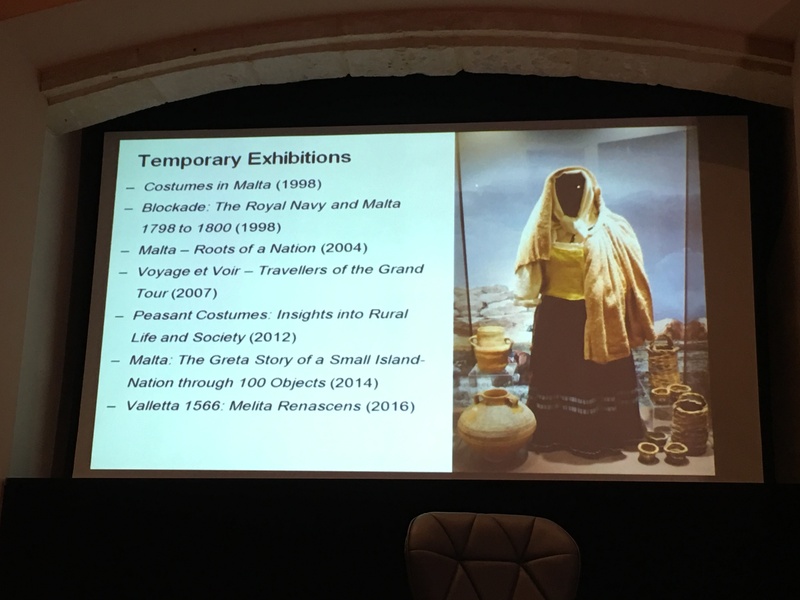 The next talk was conducted by Claire Bonavia and Kenneth Cassar who work within Heritage Malta as principal conservator (Ethnography section) and principal curator respectively. 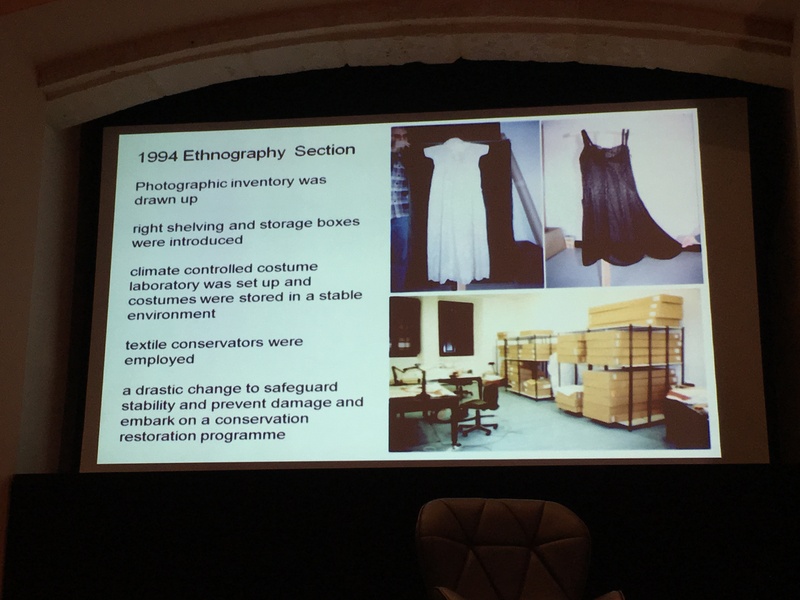 Via slides and explanations, they spoke of the painstaking work that goes into restoring garments that would have been or are donated. Such garments will form part of the exhibition, so it was really insightful to get insider knowledge about these garments. As I spoke to a few attendees during the coffee break, someone aptly pointed out how important context is to better appreciate such pieces (kudos, Lisa Gwen!). 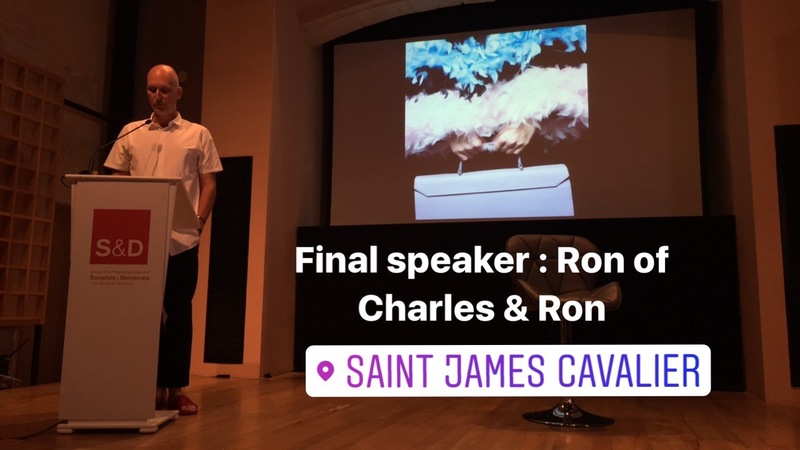 The last talk was delivered by Ron van Maarshalkerweerd Borg, of the fashion powerhouse Charles & Ron. His talk was punctuated by a call to look forward, to embrace the future of fashion in Malta. He mentioned the need to create a culture that not only promotes new businesses and encourages designers to venture into uncertain territory, but most importantly that the latter are supported through initiatives and funding projects. Ron suggested a fashion collection, to create new synergies while placing Maltese creative talent at the forefront. Why not, particularly when fashion designers are breeding new life into dying trades? With this last point, I will conclude and ask you to reflect on how we too can play a part in this collective: looking into the past so as to move forward into a brighter future of fashion. Next Stage Line Makeup: Reviewing some new and familiar products!